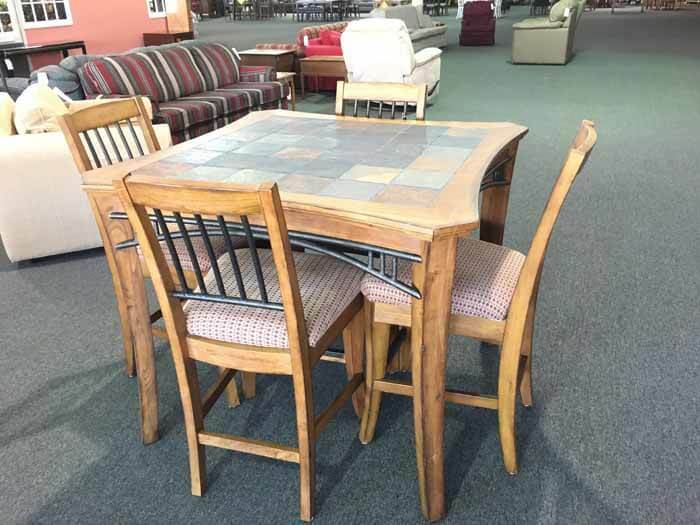 Lane Pub Table and 4 stools. Nice slate top. Metal trim on table and chairs. Available today for $300.